The iconic Sheffield Town Hall is a fantastic place to hold your wedding from an intimate ceremony to a large wedding party upstairs – the Town Hall can host it all. The building is steeped in history, its grade 1 listed and with the Peace Gardens and Winter Gardens nearby in Sheffield city centre you are spoilt for choice for photography locations! 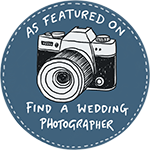 Helen & Paul are Sheffield Wedding Photographers who love to photograph weddings at Sheffield Town Hall. We also photograph weddings in the Lake District and Cumbria. We love to photograph weddings in Yorkshire too!